Arvea Marieni graduated with honors from the University of Rome (La Sapienza) with a degree in Political Science. In 2001 she successfully completed the EU-China Managers Training Programme, jointly set up by the EU Commission and the MOFTEC (Chinese Ministry for Foreign Trade and Economic Cooperation). Fluent in Italian, English, French and German, Arvea Marieni also has a good command of Mandarin Chinese. Over the last ten years she acquired hands-on experience in Project Management, Business Development and Market entry Strategy, Design and Consulting, in numerous industries. This wide international exposure and familiarity with diverse organizational structures, enables her to work effectively in multicultural environments and gives her a wide experience in international trade practices and export management, with a thorough understanding of the value chain definition. She has served on several client assignments, and scouted for commercial and industrial joint venture opportunities in China and Vietnam. Travelling extensively across Europe and Asia, she negotiated several successful partnership and supply agreements for a large number of SMEs. In 2009, she joined Innovation Factory, AREA’s first-mile incubator, to serve as Marketing Manager. Amongst other assignments, she was responsible for program development, licensing agreement, marketing and strategic partnerships for ENERPLAN, AREA’s development program in renewable energy production and energy efficiency. She acquired distinctive competences in innovation management, change management and Technology Transfer best practices. In 2013, she joined GcM Consulting, a boutique consulting firm in strategy and innovation management, established by Giancarlo Michellone, former Managing Director of the Fiat Research Center. 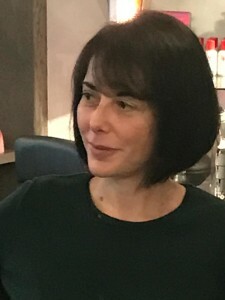 Since 2012, she was invited to contribute to Formiche.net, online version of the Italian magazine Formiche, covering politics, economy and geopolitics, with reports, articles and her own blog.